Kids develop food preferences early. But as your child’s first teacher, it’s important not to quit trying. Children may need to be offered a new food up to 15 times before they’ll taste it. Here a few activities you can do with your child to help get their buy-in on a new veggie. Take them shopping and let them pick out the new vegetable. When you get home, research where it originates from and if it’s related to other vegetables. You can use one of these supermarket activity sheets for ideas. Maybe you’ve always bought cherry tomatoes, but there’s an increasing number of varieties at the grocery store. Pick a couple and when you get home do a taste test and ask your kids to talk about the differences. Adding a small amount to something they already love increases the chance of success. 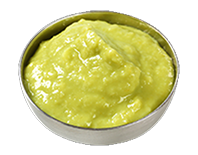 In a recent study published by the American Dietetic Association, when preschool aged children were served broccoli with a dip (we recommend guacamole! ), their consumption rate increased 80 percent. Overeating: We’re all guilty of it. Whether it’s springing for the jumbo size at the drive-thru because it seems like a better deal or splurging on seconds at an especially delicious dinner, it can be tough to know when enough is enough. This is true for our kids, too, and if not curbed, these bad eating habits can result in dangerous health problems. The key is to arm your children with knowledge about proper portion sizes and to make it easy for them to make good decisions. 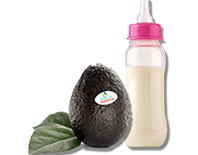 Pediatricians and nutritionists agree that avocados are one of the best first solid foods to give your little one. 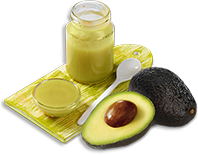 Not only are the good fats, like monounsaturated and polyunsaturated fat, and nutrients contained in avocados great for your baby’s brain and physical development, but the soft, creamy texture and delicious flavor ensures that they’ll actually eat it, unlike some other beneficial (but less palatable) veggies. It’s hard to resist having a few extra bites of food when it’s right there in front of you. 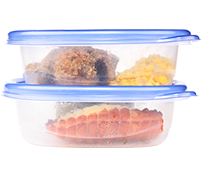 Rather than setting entire platters of food on the table and allowing kids to serve themselves, place appropriate amounts of food on your kids’ plates and put the leftovers away. 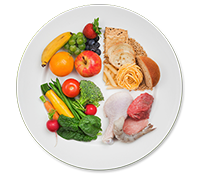 Encourage your family to eat slowly, since it takes the brain about 20 minutes to realize you’re full. If your kids are still hungry, allow them seconds of fruit or vegetables only. Babies are born as omnivores, and they naturally learn to like the foods that are made available to them. Those childhood eating habits then serve as a foundation for future dietary tendencies. 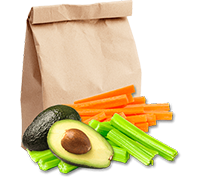 Healthy eaters typically remain healthy eaters, while children who are raised with an unfavorable diet are more likely to make bad eating choices as adults. Researchers at Newcastle University found that eating behavior was set by the age of 10, proving that it’s all the more important to begin early. 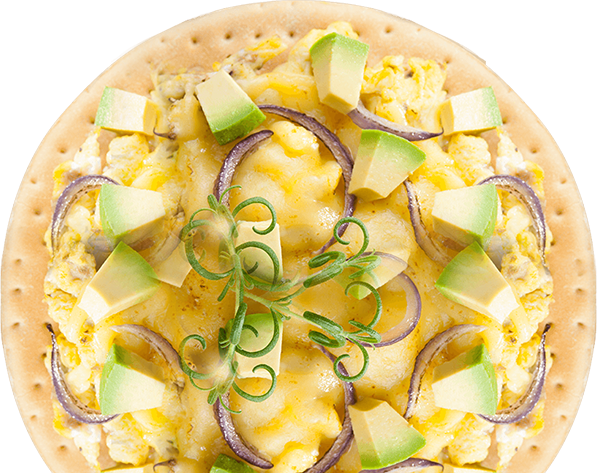 Everyone loves avocados for their great taste and nutritional benefits. But there’s one more small, though very important, reason to love this incredible fruit: Your baby. 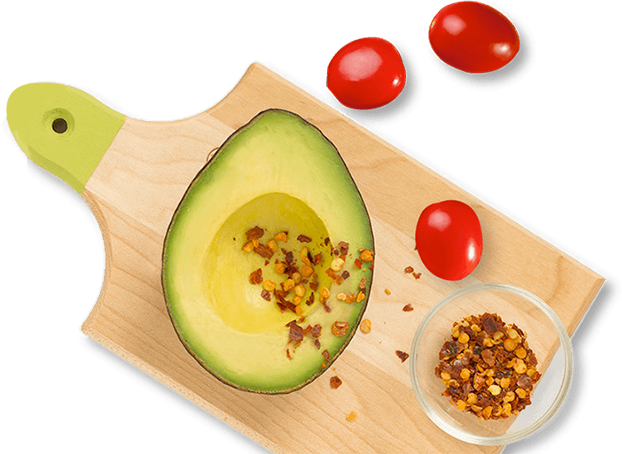 Though getting your babies to eat nutritious foods isn’t always easy, feeding them avocados is a simple, tasty way to get them off on the right foot. It’s a choice they’ll thank you for in years to come. 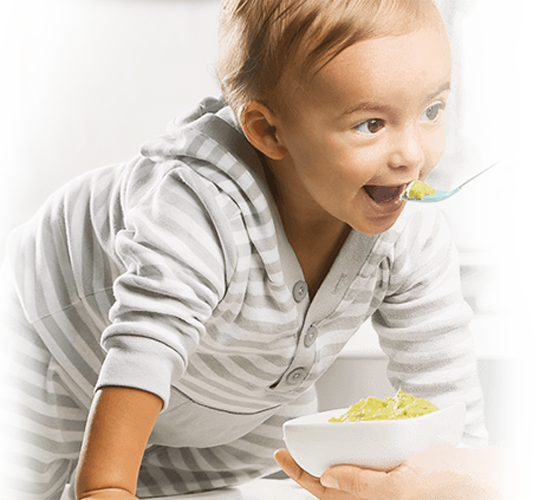 The benefits to feeding your baby avocados go beyond helping them transition to a solid-food diet — and beyond their baby years altogether. Science is increasingly showing that what your children eat as babies influences their eating habits later in life and how healthy they’ll be as adults.